In Summer of 2007 I had 18 ECT treatments: 9 in June, 5 in July and 4 in August. This is an attempt** to document that time period, and maybe convey to others contemplating ECT that it is not the horrible procedure famously depicted in “One Flew Over The Cuckoo’s Nest” (see short clip below). People seem to be willing to talk openly about their Colonoscopy experiences, but mention “shock treatments” and you will notice a series of awkward glances unfold. Electroconvulsive Therapy (ECT) is a treatment for severe episodes of depression, mania and catatonia (in schizophrenia) that have not responded to medication. Treatment consists of applying a brief, controlled electrical current on the patient’s head, which produces a seizure within the brain. Certain biochemical changes are believed to be brought about by this seizure activity, causing symptoms to diminish or even disappear completely. ECT treatments are given 3 times a week in the beginning, then less frequently. Usually a series of 6-12 sessions are required to produce the therapeutic effect, although sometimes more than 12 might be necessary. Even though ECT has been proven safe and effective in treating these severe episodes of major depression, bipolar and schizophrenia, it will not in itself prevent the occurrence of future episodes, so maintenance treatment (medication and psychotherapy, sometimes additional ECT at a much less frequent rate) is necessary to continue to control symptoms. Common side effects of ECT involve headaches, nausea, muscle soreness, confusion and memory loss. Headaches, nausea and muscle soreness are usually mild and well-controlled by medications that are given along with treatments. Confusion and memory problems build up over the course of ECT, but tend to diminish once treatments have stopped. In some cases memory loss is permanent, mainly those from days to months before treatment. The risk of death resulting from treatment is rare – about 1 per 10,000 patients in the absence of coexisting medical conditions. This is NOT how modern day ECT is done! But that’s usually what people picture in their minds when ECT is mentioned. 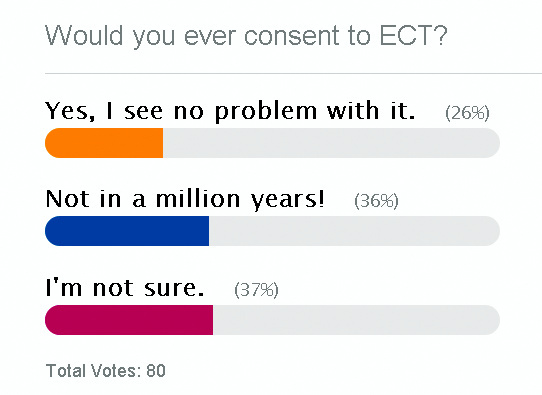 The decision to have ECT is not made overnight. The treatment is only considered when the patient has been shown to not respond to medication, and there are several different medications to try! It is also not a decision reached by only one doctor. The patient needs a second opinion, and both doctors have to agree on ECT as the best course of treatment. In my case, I was being treated as an outpatient at a local hospital. After “keeping it together” for several stressful months (my husband had undergone two open-heart surgeries, for valve repair and then replacement) I found myself on a manic high (I have Bipolar Disorder type I) that lasted a few weeks, surely followed by a depressive crash. The head psychiatrist at the outpatient program was running out of options with all the drugs we were trying that were not improving my depression. He finally asked me if I would consider ECT, explaining that it seemed to work when medication had proved ineffective. I was not opposed to it, so he scheduled an appointment with the second doctor. I really do not remember the visit with the second doctor, but he recommended ECT as well and a date was chosen for my first treatment. I was given literature about the complete ECT procedure, so I (kind of) knew what to expect, but I had never been under general anesthesia before and was somewhat nervous about that. It was mostly fear of the unknown, so I knew it would get better after the first few treatments (unless something really bad happened). I remember feeling apprehensive prior to the first treatment because I was counting on my Klonopin to calm me down and relieve my anxiety, but I found out I could not take it, as it would interact with the anesthesia. I was prescribed a non-benzodiazepine (I think it was Vistaril) but it didn’t do anything for me. There was (a lot of) paperwork to be filled out – informed consent forms, insurance papers, and some of those scary forms stating what could go wrong, that I found best not to read (but signed, anyway). It was all over quicker than I expected, and I really didn’t remember much. It was not traumatic at all, and my fears completely dissipated after the first treatment. The general anesthesia was no big deal at all – I actually enjoyed the process – and the only immediate side effect I experienced later that day was a bad headache. For subsequent treatments I was given a Toradol injection, and I never had the headache again. I get a phone call the night before treatment. They go over the instructions and let me know what time I’m scheduled for. It’s just like prepping for surgery: nothing to eat or drink after midnight; I have to take my meds with a small sip of water only; some meds are not allowed because they interfere with the anesthesia (such as the Klonopin I wanted to take for anxiety). Benzodiazepines are in general not allowed. The hospital van picks me up at the assigned time. Once at the hospital I sign the usual pile of paperwork and am wheeled into the unit. In the OR I change into a gown and the nurses hook me up to a heart monitor, put a blood pressure cuff around my arm and an oxygen meter on my finger. They start the IV and make sure I’m comfortable. After all, most of the time I’m there is spent waiting for my “turn”. There are four beds in the OR, and for some reason I always end up on bed #3 or #4, so I have to wait for two or three people to have the ECT before I do. The doctor, anesthesiologist and nurses are really quiet. I am very curious and try to listen to what is going on, but there is not much to listen to. They say the patient name and number and that they are there for ECT, and one by one they all say “Yes” in agreement, and start the procedure. All I hear is the breathing bag doing its job breathing for the patient. I listen closely, but hear no “zapping” sound. Then it’s over. I hear them clearing the patient’s airways, it makes a nasty, drowning-in-mucus sucking noise. The sequence repeats for each patient until it’s time for me to be treated. I’m all cozy under the blanket, but now they have to uncover my feet (I think it has to do with the curling of the toes signaling that the seizure is over) and strap me down to the bed. My arms are kept under the blanket, and thick velcro straps go across my chest and thighs. The doctor comes in and asks me how I am doing, and the anesthesiologist gets my drug mix ready. They put a rubber mouthpiece (kinda like a big pacifier) so that I don’t chew off my tongue, and then say the agreement procedure: “This is Natalia Norman number XXXXXXX for ECT” – “Yes”. “Yes”. “Yes”. “Yes”. Now I feel the cold medicine being pumped in my vein (my favorite part of the whole process) and start my “game”: how high will I be able to count today? Then I must be out in about 5 seconds. I always try to count to 10, and to stay alert as long as I can, but oh, those meds are powerful. They knock you out pretty quickly. I wake up feeling somewhat confused. The nurse removes the IV and unhooks me from the monitors. Then they give me a brown bag snack and wheel me out of the unit. Finally the hospital van drops the patients back home. 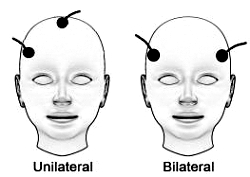 During ECT a controlled electrical stimulus is applied across two electrodes that are placed either on both temples (bilateral ECT) or on the right temple and top of the head (unilateral ECT). Shortly after treatment started, my psychiatrist felt that I was not responding as expected. He had started with unilateral ECT, since it has less effect on memory, but may not be as effective in some patients. He explained the difference between unilateral and bilateral ECT and suggested we switched to bilateral ECT. I agreed. The ECT really worked well in the beginning, shaking me off the depression, but after a while I felt I wasn’t gaining any additional benefits from it, and so almost 3 months later after 18 sessions my husband and I decided to stop the treatments. I remember that finally by Thanksgiving I was beginning to feel normal again. I think a combination of the ECT and finally figuring out the right drug combination did the trick. Would I go through it again if necessary? Yes. Common side effects of ECT are nausea, headaches, muscle soreness, confusion and memory loss. I never experienced any nausea or muscle soreness, and as I said before I had a bad headache after the first treatment, but that was prevented in future treatments with Toradol shots. I did experience severe confusion and memory loss throughout the course of treatment. My husband said I was pretty out of it during those 3 months. He said it was scary that sometimes I would only speak in monosyllables, and he even wondered if I would ever speak normally again. (I do). I think I felt somewhat zombie-like, but I don’t remember much from that time period – that’s the memory loss part of it. Even though I did not fully recover all the memories that were lost, my memory did get better once treatments were stopped. 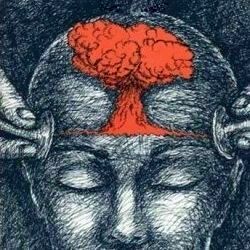 Memories from the periods right before and during treatment were the most affected, but I experienced some long-term memory loss as well, as explained in the next section, below. It seems I’m one of the “lucky few” whose long-term memory has been affected by treatment. Above is a picture of me in Santorini, Greece, taken in July of 2005. My husband says we went down a path that consisted of give or take 600 steps (we opted out of using the donkeys) to swim in the crater of a volcano. I believe him, but I have no recollection of ever being at this volcano. It is unfortunate that some memories from my only European trip so far (I hope there are others yet to come) have been “erased”. We were in London, Paris, Berlin, two Greek islands (Santorini and Aegina) – with a side trip to Egypt where we visited Cairo, Alexandria and Luxor. There is a lot that I remember from that trip, but also a lot that I don’t, so looking at the pictures is an interesting experience. I’ve been keeping journals since circa 2000, and reading some entries I feel like I am reading a novel, or someone else’s memoirs. There are things that I went through that I have absolutely no recollection of. Zero. 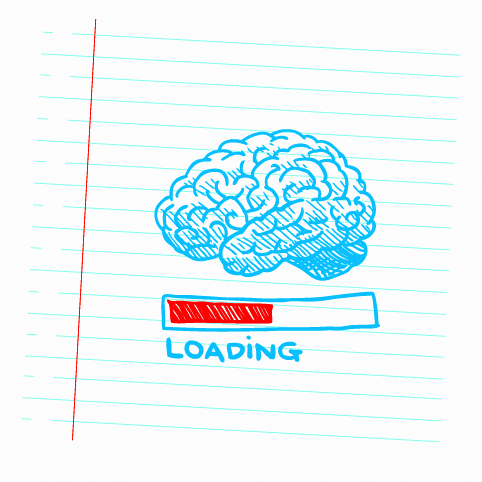 I was told it is common to “lose” the memories from around the time of treatment (which I did – I don’t remember much from that period), but that it is rare to have your longer term memory affected. I never talked to anyone else that has had ECT, so I don’t know how my experience differs (or not) from other people. Average cost per treatment was approximately $2,700. (Luckily I had insurance and did not pay a penny; otherwise the treatment wouldn’t even have been an option for me – I simply could not afford to pay that out of pocket). 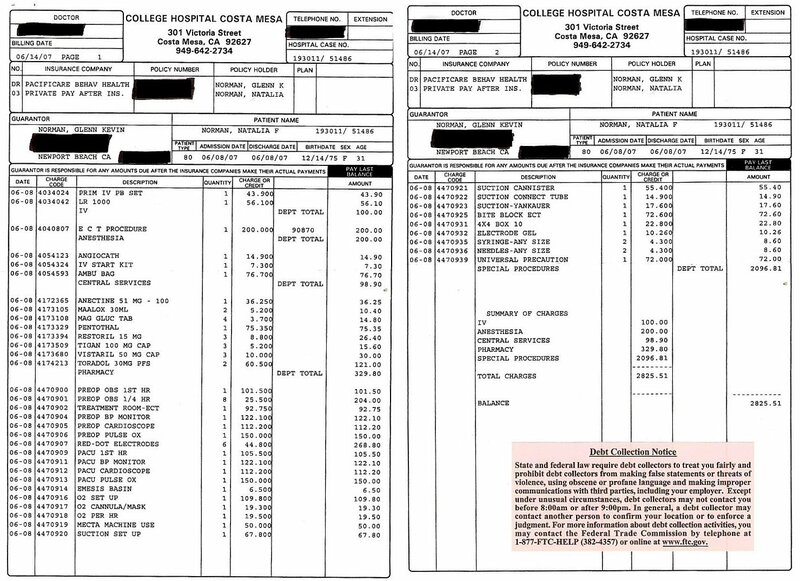 Looking at this particular statement (click on the image to see the large version) I can see that the ECT procedure was $2,096.81, with additional $100.00 for IV, $200.00 for anesthesia, $98.90 for central services (whatever that is) and $329.80 for pharmacy. Quite a hefty bill! It was by no means a “fancy hospital”, so I’m guessing this price must be “average”. And now of course, feel free to leave your comments below. What is your opinion of ECT? Would ever consider having it done? Did the account of my experience help you understand this treatment better?